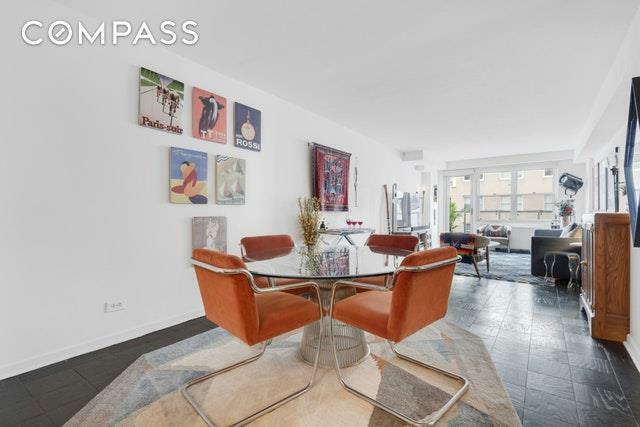 Truly special over-sized one bedroom, one bathroom renovated home in the ideal Upper East Side Location. Enter into a spacious foyer which leads to your sunny 30' living room with separate dining area, which can be converted into an interior den/office/nursery. 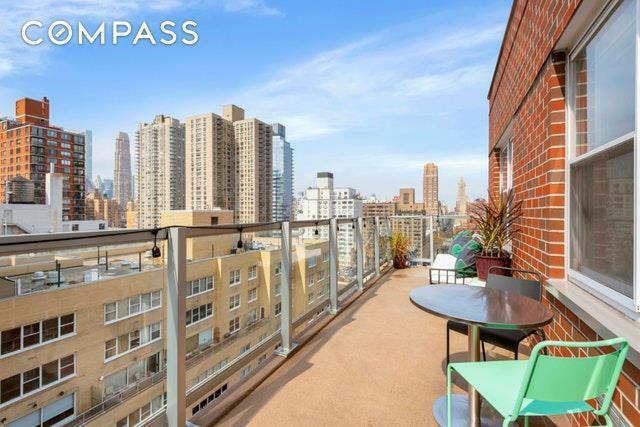 Off the grand living room is a huge 24' foot corner top floor balcony offering amazing open south and west views of Manhattan's skyline, the perfect place to watch the sunset after a long day. 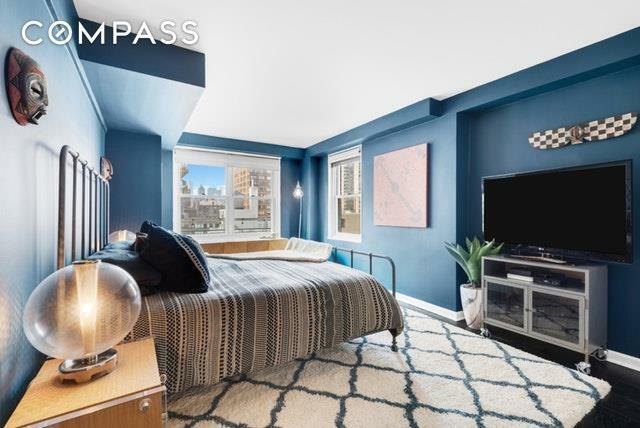 On the 17th floor you gain several west-facing windows in your kitchen, bathroom and master bedroom, flooding the entire apartment with natural light all day long. 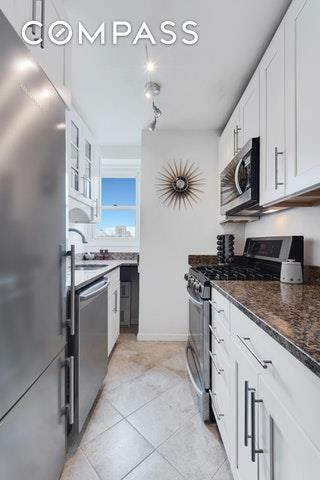 The windowed kitchen is renovated with custom cabinetry, granite countertops and stainless steel appliances including a Liebherr refrigerator and Bosch dishwasher. The windowed bath is renovated as well. Your large master bedroom has dual south and west exposures and is bathed in sunlight. There is an abundance of closets throughout. Sherman Towers is a pet-friendly, full-service, doorman building with a brand new red brick facade, new roof deck, plus garage, storage and bike room in the perfect Upper East Side location adjacent to New York Sports Club, one block from Equinox, a short distance from both the Q and the 6 subway, John Jay Park and all the best restaurants and shops the Upper East Side has to offer! Co-purchasers and Pied-a-terres are permitted. This is a one of a kind property, Welcome Home!